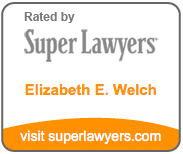 Elizabeth E. Welch began her legal career in 1997 as a legal assistant and paralegal. While clerking for Kafoury & McDougal in 2002 she found her inspiration to represent injured people against insurance companies. In 2006 Welch co-founded Kohlhoff & Welch, Oregon’s first exclusively mother-daughter firm, which was opened with attorney Theresa Kohlhoff. In 2015 Ms. Welch was excited to open her own firm, Elizabeth E. Welch, Attorney at Law. 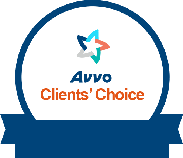 She continues to practice only in plaintiff’s personal injury. A lifelong Oregonian, Ms. Welch graduated from the University of Georgia and attended Lewis & Clark Law School as a night student, graduating in 2004. She became a member of the Oregon State Bar in 2006. Ms. Welch served on the Board of the Oregon Trial Lawyers from 2008 through 2013. In addition to working on multiple committees with the Oregon Trial Lawyers, Ms. Welch worked on the Client Security Fund committee for the Oregon State Bar and served on the 2014 membership taskforce for the Multnomah Bar Association. She regularly mentors aspiring new attorneys in personal injury law, and served as one of the editors and contributing writers to the Oregon Trial Lawyer’s Motor Vehicle Deskbook. Currently Ms. Welch serves on the Board of Directors for the Multnomah County Bar Association. The mother of two girls, Ms. Welch served on the Board of North Portland’s Peninsula K-8’s PTA from 2009 through 2013, serving as President in 2012 and 2013. Elizabeth has spoken at Oregon Trial Lawyers Brown Bag lunches on working with adjustors and handling personal injury cases. She is also a yearly contributor to OTLA’s 101 class, speaking on Marketing for New Lawyers. Along with authoring a few articles for OTLA’s Trial Lawyer Magazine, in 2016 she will be speaking on Social Media and Protecting Clients at the OTLA Convention. 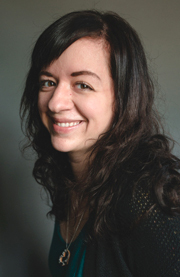 Elizabeth is a graduate of Oregon Trial Lawyer’s 101 and 201 classes. She was also picked to be in the first ever Rothauge & Kaner Women’s Trial Academy. Elizabeth enjoys crossfit, running, reading, trivia, cooking, and generally spending time with family.